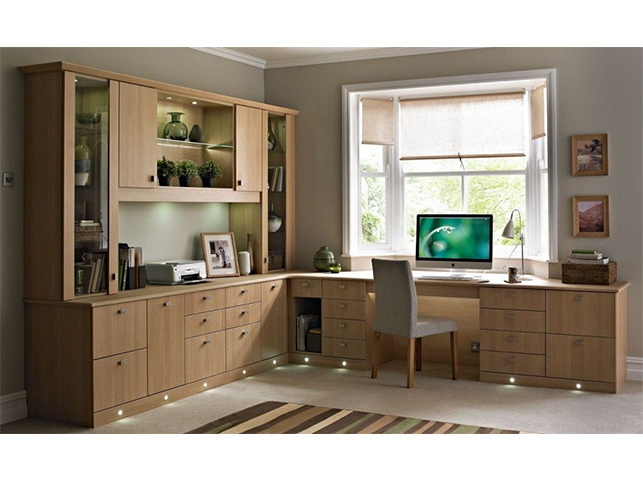 All our office furniture is completely made to measure to ensure that your home office space is maximised for efficiency and great looks. 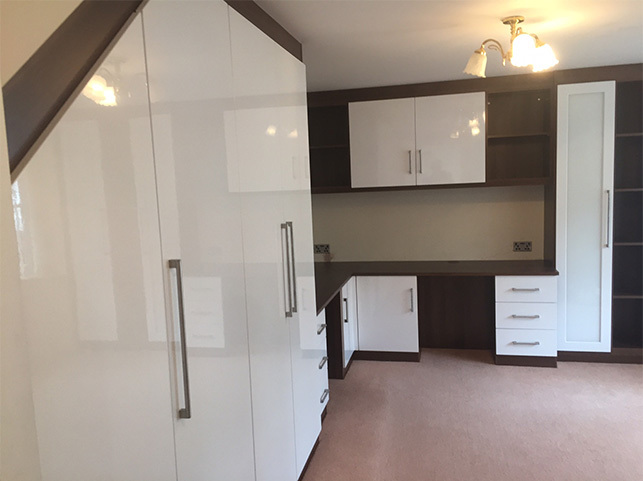 We offer a wide range of styles, colours, handles and other accessories to suit your taste. 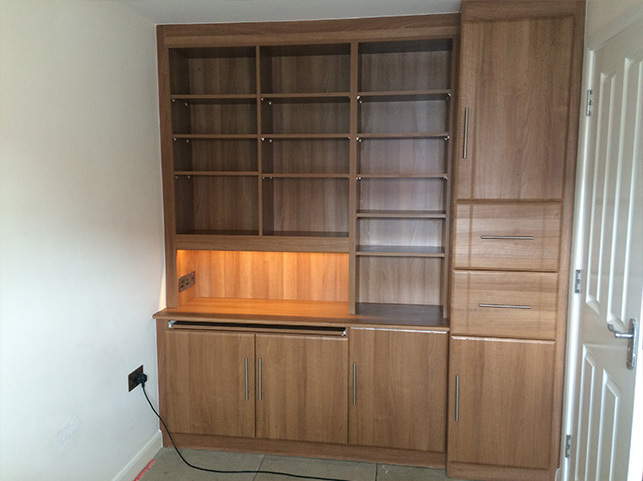 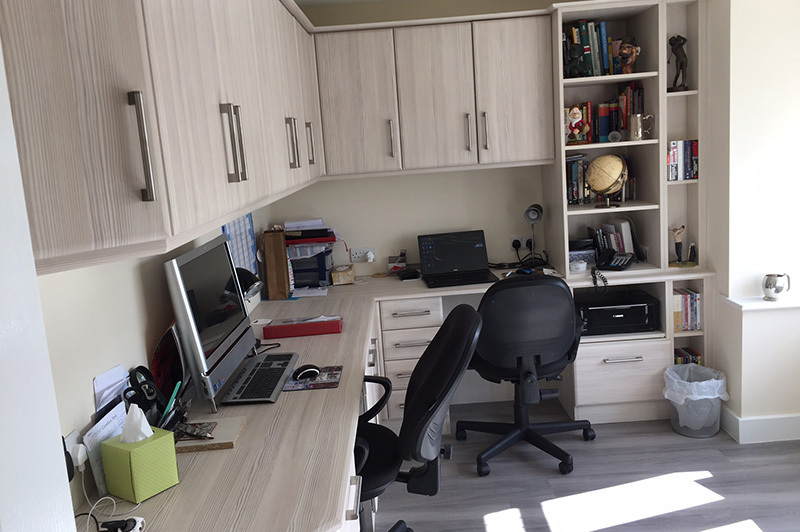 We also have a choice of storage systems including drawers, file drawers, pull-out keyboard shelves, bookcases and glass display cabinets that can be incorporated into your individually designed home office.